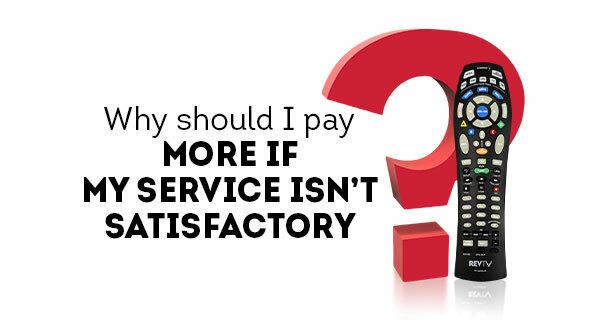 Recently there have been some questions about Cable Bahamas, our pricing and our products. We know that some of our subscribers want to learn more about these important topics. This web page will provide you with some of the answers to your most important questions. We want you to know that we value your opinion and your perspective on these things. There are a lot of things being said, but much of it is missing something very important: the FACTS. After serving thousands of customers for more than 18 years, we know that each one of our subscribers has individual needs and interests. We are proud to be able to serve such a diverse range of fellow Bahamians with products that we know are world class. We have constantly expanded our services and our reach into almost every community in the Bahamas, from downtown Nassau to the small island settlements of Walker’s Cay and Moore’s Island. While we already reach more than 99% of the population of The Bahamas, we are continuing to further expand our network. In everything we do, we believe in empowering social and economic growth, by delivering remarkable customer experiences, and developing products and services that enable a revolutionary shift in the way we learn, the way we communicate and in the way we are entertained. If any of your services from Cable Bahamas are not operating at 100% we want to know! Our dedicated team of customer service, technical and engineering personnel is committed to ensuring any problem you experience is quickly and completely resolved. E-mail us at info@cablebahamas.com or call 601-2200 (Nassau), 602-2200 (Freeport) or 1-242-300-2200 (toll free) if you need help! The English-speaking Caribbean region countries are forced to receive Latin American feeds. 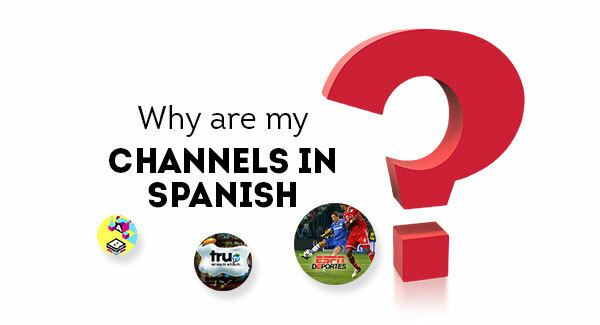 There are currently only a small fraction of channels that carry a limited amount of non-English content. We are always working with our providers to reduce the Spanish content within their programming. 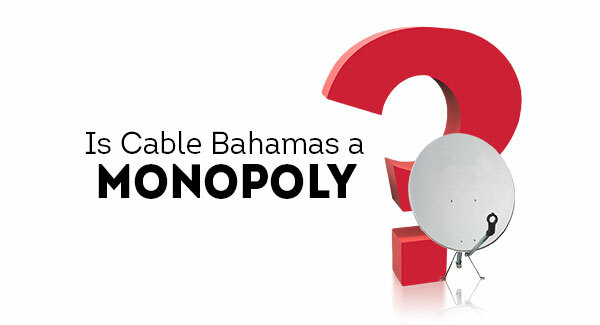 By 1999, Cable Bahamas met all its license obligations. 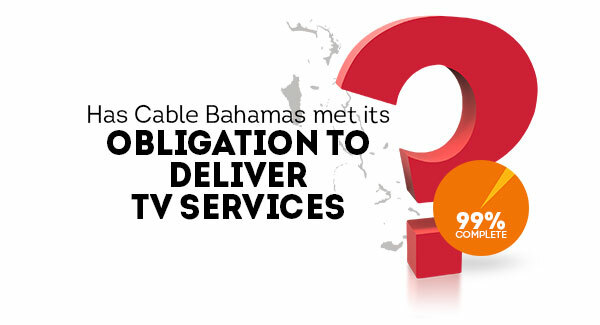 To date, Cable Bahamas has extended its services to be available throughout The Bahamas to more than 99% of the population. 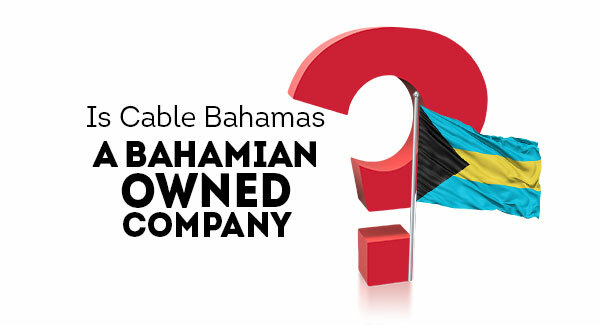 In 2009, Cable Bahamas purchased all controlling shares from foreign investors and is now proudly 100% Bahamian owned, and therefore, all profits stay in The Bahamas. Cable Bahamas came into an already established pay TV market and has been competing with satellite since we began. Over 3,000 Bahamians invested in Cable Bahamas. They risked their own money and savings, counting on the success of the company for a return on their investment and sacrifice. The ongoing profitability of Cable Bahamas, allows us to reinvest and keep up with the latest technology to provide some of the most advanced television, broadband and voice offerings to Bahamians.